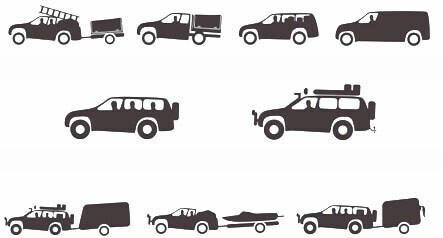 One of the key features of Pedders Tow and Load Assessment and the unique Weight Matrix Program is that we can provide your vehicle weight relevant to the likely driving scenarios that you will face. additional weight from loads, towing and accessories. Our trained speciallist technicians will systematically inspect your vehicle’s entire steering and suspension system and other related undercar components from front to rear. Our comprehensive written report shows the current status of all-vital suspension and steering systems. This is a no obligation report, so you can decide what suits you best. The “Weight Matrix” component of the Pedders Tow and Load Assesment refers to know your weight now and looking at your weight in the future based on your towing and load carrying scenarios. Pedders shops can assess the ball weight of caravans or trailers as this is and integral part of some weight scenarios. Please discuss the praticality and logistics of this with your participating Pedders outlet. As part of the initial weighing of the vehicle your current loads and accessories will be listed as the basis of the “as weighed” scenarion 1. The world-first program designed to assist you in better understanding your weight issues.